Khalid Muhammad has been one of the most understanding and compassionate men throughout my illness. For the last two months while I’ve been barely limping along he has been the definition of patience while this interview and the companion review were delayed. Agency Rules is a phenomenal read and this interview is one of my most favorite interviews I’ve ever done. 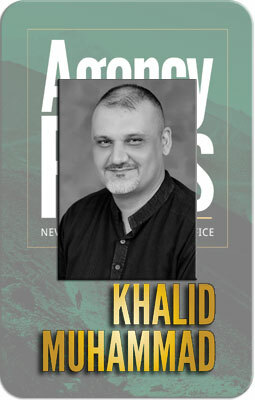 Thank you, Khalid! You have my most sincere gratitude for your kindness and the chance to do such an incredible interview! By day, I am a mild-mannered business executive keeping myself busy running a marketing and brand management company. I take someone else’s product and create concepts, ideas and brand stories—things that make consumers want to buy, invest and save their hard-earned money. By night, my alter ego emerges; one that has a penchant for sadistic retribution towards those who wrong me, and that spends its time devising intricate and detailed plans for a nefarious end. If I hope to continue to have friends and family, though, I have to keep my alter ego under control. So, I choose to write novellas, novels and short stories to let the wickedness escape; the other option means a great deal of blood, numerous torture implements and…well, infinite ways to dump a body. The writing is better for everyone involved and less dangerous for the guilty… until I write them into another story. Agency Rules is an incredibly complex Political Spy Thriller. You introduce many layers of involvement by different interests groups, governmental powers and military influences. When you were developing the plot and the characters for this novel how exactly did you plan for such a large cast of figures and such a multidimensional story? I have been immersed in this story for about 2 years. When I was developing the plot for Agency Rules, I spent a great deal of time with all spheres of people from politicians to military, from street vendors to high-ranking executives. I read everything I could get my hands on, from internal memos and newspaper articles to published books about Pakistan. The only way that I was going to be able to get this story right was to know it inside out. Before I wrote the novel, I had actually written a novella and submitted it to a publisher (they liked it). But while they were ready to accept the novella, I wasn’t. I felt I had done a half-assed job of telling Kamal’s story and that it could be much stronger. So I took my novella back and shredded it. I kept some of the characters I had developed and I actually built a storyboard for the full novel (not with pictures, but every level of the story had it’s own little box). I would reference the storyboard when I wrote, but I also changed a lot of it as the novel progressed. I made a conscious choice to start the story from the mid-90s because it was right after the death of a very fundamentalist military dictator, General Zia-ul-Haq, and two failures of the democratic system. By failure, I mean both governments were dismissed for massive corruption. It was also when the problem of extremism and terrorism started in Pakistan, so it made for the best starting point for a spy thriller. I said in an interview once, right after the book was launched, that one of the motivations of writing the Agency Rules series is to help people understand the Pakistan that I love, with all its flaws. I think a part of me wanted to help non-Pakistanis, and ex-pat Pakistanis, understand that what they see in the media about Pakistan is nowhere close to being the truth. There are so many layers to the story of this country that the media will never understand or explain because they simply can’t understand them. I am going to beg forgiveness for my ignorance regarding the military, politics and culture of Pakistan and hope you will not see my questions as elementary or obvious. Just how does religion play into politics in Pakistan or specifically Agency Rules? The role of religion in Pakistan depends on who you talk to, in all honesty. When you talk to people like me, religion is something that is practiced in private and not imposed on others. When you talk to fundamentalists, you find that they want religion to be a matter of the state. This was not the case before General Zia, the fundamentalist military dictator that I mentioned previously. Prior to Zia, Pakistan was on the road to becoming a liberal progressive country. We had clubs, bars and a very European lifestyle, according to those who lived here during that time. I was just a child in the US then 🙂 Prior to Zia (1977-1988), we weren’t the ‘Islamic Republic of Pakistan’, we were just the ‘Republic of Pakistan’. Post Zia, the religious right become very powerful. They had been the crux of the “jihad” and mujihadeen movement against the Soviets in Afghanistan. They had become very accustomed to the flow of dollars and riyals and breaking that habit would not be easy, and has not been easy, as the problem still exists in Pakistan. In terms of politics, the Pakistan Muslim League Nawaz, headed by Nawaz Sharif, was created by General Zia to support his government and continues to hold the same belief structure as the dead dictator. They also have the undying support of the religious right, which is why Pakistan is negotiating with terrorists responsible for the murder of over 70,000 Pakistanis, rather than launching a full military operation against them. The military was cleaned out during the Musharraf government. The jihadi elements were all forceably retired so that the military could fight the terrorist elements in the country. But retired military officers are still working with the jihadis/terrorists even without the uniform. What is the position of the Pakistani government and military on Islamic Extremists? You need to understand something. These people are not Muslims. The 9/11 hijackers, the 7/7 attacks, and the attacks that Pakistan suffers through each day are not carried out by Muslims. Islam doesn’t teach what they are doing. You won’t find answers to their behavior on any page of the Quran. Anyone can pull a phrase here and there from the Quran to justify their militancy, but that isn’t Islam. The Quran isn’t written from a position of pick and chose – the lines before a passage are just as important as the lines after it and everything needs to be taken in context. So, we all need to understand that they are terrorists, plain and simple. Calling them anything else is just wrong. Islam is not a soundbite faith. Where the government stands is probably completely against where the majority of the people stand. Since the Musharraf government left office, we have seen the terrorists getting stronger, bolder, and more violent each day, with a complete lack of government response. While the military is very strong in Pakistan’s affairs, they are shackled by the government of the day. For six years, we watched the Pakistan People’s Party dance a two-step, taking action only when their hand was forced. Now, since the PML-N government has come into power, along with Imran Khan’s PTI, our government is begging the terrorists to sit across a negotiating table. Just a few weeks ago, a Pakistan Army contingent was at the Pentagon briefing the US military high command on the action that had been initiated against the terrorist strongholds in Pakistan. This was while the Army and Air Force pounded these same hideout for two weeks with bombing runs and helicopter gunships in retaliation for the cold-blooded murder of 23 Frontier Corps soldiers. By the time the contingent returned to Pakistan, the Prime Minister had ordered the guns silent so that they could take on another round of negotiations with the terrorists. How accurate are the events in your novel to the reality of the country? In terms of the events in my novel, most, if not all, carry a historical truth to them. Pakistan did see a massive influx of mujahideen after the Soviets pulled out of Afghanistan. Pakistan did, and still does, suffer from a hapless democratic system that is more interested in padding their offshore bank accounts than protecting the citizens of the country. The religious leaders have long fostered and nurtured a jihadi element in their ranks. The Saudis have spent a great deal of money building and supporting that structure. That is all true even today. I did create a few things, or maybe I should say moved timelines, as part of the creative license of a fiction writer, but I pride myself on the fact that you can connect my novel to actual history in Pakistan. While reading Agency Rules the military speak, general feel of the designation of the soldiers and agents, and the camaraderie often left me with a feeling that the interactions had been Westernized. The speech was very American or British in structure, slang and slur. The deferment in military debriefing was similar to Anglo media depictions. Was this to make the novel more readable to a common English reader? Or is this because the translation of the speech that would be used in Agency Rules into English makes the speech more common to what we would hear any way? There are a few reasons for the Westernized interactions. First, yes, I did change the basic ranks of some of the military to fit the understanding of the Western reader. Would you really understand what a sepoy or havildar are? That was a requirement of the audience that I was writing for. Second, while the standing Army soldiers speak Urdu, Punjabi, Pushto, and other regional languages, most of our officer corps are put through training and educational regiments at Pakistan Military Academy, Army Staff College Quetta and other institutions. These institutions are primarily English language institutions. In addition to that, some are sent to Sandhurst in the UK, like Kamal Khan, or to the US for training in battle tactics, warfare, etc. Since there are no interactions between soldiers, you don’t see the “traditional Pakistani” language emerge, but the feel of the story mirrors the Army officer corps. The last part of your question is quite interesting for me. I did leave some Urdu and Pashto language in the book in different places and found that some readers had a serious problem with it. The funny part is that it is explained in context or in the lines right after, but they seem to have glazed over that part. The novel takes place in the mid nineteen-nineties which means that all that happens within the story happens prior to the internet revolution. The ISI, Extremists and other key players already find it incredibly easy to be organized, networked and changeable with their identities. Had you written a more current version of the same book how do you feel your story might have been affected by the most recent advancements in technology? Well, you’ll see how the extremists, ISI and other key players handle the introduction of technology in the next book. I think one thing that people don’t understand about Pakistan is that we are one of the most watched countries in the world by our own intelligence services. A great deal of that comes from the fact that the police in Pakistan are useless, but I like to attribute it to the fact that the last line of defense for Pakistan is the military so they are always watching. In terms of our ISI, no one knows how many are part of the intelligence service, and more importantly, no one knows who they are. They could be a waiter in a roadside hotel, a beggar on the street or a clerk in a government office, you just don’t know. That does make them more ominous in terms of an intelligence organization, but most Pakistanis bank on the fact that the ISI knows everything going on in the country. They have an amazing network of intelligence gathering in every part of the country. I’ll give you an example. I mentioned that the Army and Air Force launched an assault on the terrorist hideouts a few weeks back. The strikes were so precise that they knew the exact location of the homes, hideouts, weapons caches, explosives factories, etc. This is Pakistan’s intelligence services. The ISI may be maligned by the world media, but is still one of the top, and most feared, intelligence services in the world because of their ability to integrate into any situation or environment to protect Pakistan. Would the globalization of information and the profiles of known terrorist cells and active members made Kamal and entirely different character? Would technology have made Kamal different? I don’t think so. Kamal is a warrior, not an analyst. Technology is something that is used to process and pass information, but it is not the way that our intelligence officers, or Kamal, are trained. They work from the position that anyone could be working against them, so they have dead drops, hidden compartments, scrawls on walls… they work old school, or by Moscow Rules. Kamal would be more weary of the technology because its something else to monitor. When you are fighting terrorists, you have to work from that understanding. There is an alarming amount of double play, manipulation, corruption and treason within the pages of this Suspense/Thriller. You introduce Kamal as a sniper, a rather removed and detached member of his military company by nature of what he does; he is very good at killing from at a distance but he has a great deal of empathy, feeling, passion regarding his duty and purpose. The Kamal at the end of the novel has been hollowed out and is more or less a weapon; there is nothing left of his softer feelings and his passion has been burned out by the knowledge that the job must be done. Do you feel that Kamal is a fallen or anti-hero by the end of the book? Has he become a figure of power or is he ultimately weaker for having become the means to an end? Kamal is developed as a flawed character from the beginning. As a reader, you see many shades of Kamal from the confident sniper to the hesitant spy. He knows what he needs to do, but his own personal belief structure sometimes keeps him from carrying it out with the proficiency of the trained soldier that he is. I don’t think Kamal is hollowed out by the end of the novel. I think he is struggling internally with the things that he has seen and learned about his own country and citizens. Everything that he had seen in his military career had always been with the distance and isolation of being a sniper. He never connected with any of the targets, never met them or sat down to a meal with them. He didn’t have relationships with them. I thought it was an interesting turnabout that once he becomes a spy and has to interact face-to-face, he has to force himself to create distance from them. He has learned about them to an extent that it clouds his own thoughts about his missions. We still see that Kamal in the latter half of the book. He still shows glimpses of being human and being empathic to those around him. At the same time, he lets go of the anger and aggression that he has within him, most of the time with violent repercussions. He is in conflict by the time we get to the end of this book, which makes for a great setup for the next book. At the opening of the book you get to see how deep the animosity runs between the party members, Prime Minister, Federal Interior Minister, Chief Minister, General Ali of the Army, Inspector General of the Police, and Corps Commander of the Political Theater. It is clear from the start that they have suspicions regarding efficacy of claims of information and that they will try any means possible to set one another up for failure to lose favor and credibility. Is part of the reason that Pakistan is in turmoil due to the cattiness and maneuvering of the officials? Hahaha… there are two schools of thought on that question. One school of thought believes that because of the military interventions in Pakistan, democracy has not been allowed to grow and mature. The other school of thought believes that if the military had not intervened, there would be no Pakistan today as the democrats would have sold it off for its own financial gain. You can guess which school of thought I prescribe to. In all honesty, the governments do make it easy for the military to step in. Let me tell you about the Pakistan that existed from 1947 to 1999. There was one television channel in Pakistan, state-owned, that always applauded the government no matter what was happening. Until the eighties, we had one English language newspaper, and one major Urdu paper. Newspapers were silenced by the governments of the day by stopping the flow of newsprint to their press, if not outright stopping a story from being printed. The courts, and police, have regularly been used to frame or silence political opponents. The national exchequer has been used like a personal bank account by every politician in the country, driving Pakistan into a massive debtor position, while not paying a dime in taxes. Taxes on luxury items have been wiped out because the elite buy them, while new higher taxes have been imposed on the poor and middle class of the country. Are they not actually creating a situation where the military will have to step in or a coup would take place? During the Musharraf government (1999 – 2008), who was also a military ‘dictator’, the media was opened up. We now have over 65 television channels, 11 English newspapers and countless Urdu/regional language papers. The media is a vocal and powerful part of Pakistan’s politics now. The internet is available to everyone via broadband. Everyone has a mobile phone connection. Lethargic state-run institutions were privatized and are now operating more efficiently, some actually generating a profit. The dollar was frozen at an exchange rate of Rs. 60 for almost nine years. New initiatives were launched to help the poor and middle class of the country. We had wiped out our international debt and were no longer beholden to the IMF. We were on our way to becoming a part of the BRIC countries. Since democracy has returned to Pakistan, it’s a return to the same old crap. The governments have worked hard to silence any opposition from civil society. The internet is controlled and monitored, under the guise of protecting the country from un-Islamic influences, but it is nothing more than a muzzle to keep embarrassing videos of politicians from being posted on YouTube (YouTube has been inaccessible in Pakistan since 2010). The dollar is floating around Rs. 101 and expected to climb much higher. Loans have been taken from Saudi Arabia, the IMF and World Bank under unfavorable conditions for the citizens, but what does the government care? Our elite and our politicians all own homes and bank accounts in the UK, the US and the Middle East that they will escape to under the protection of those governments (which all our politicians enjoy. In 1999, Pakistan issued a Red Warrant via Interpol for the arrests of Benazir Bhutto and Asif Ali Zardari for money laundering—which they were convicted for, in absentia, by the Swiss in 2003—but the US, where the two were in exile, refused to honor it). Without spoiling anything upcoming in the next book, isn’t the government a large part of what is wrong in Pakistan? Are they the problem? Definitely. Do they make it easy for the military to take over? Without a doubt. There are four Americans talked about in Agency Rules who have a history of questionable dealings with Pakistan and Extremists: Chris Andrews, David Northwright, Tom Davidson and Annie Parker. The three men are CIA agents with ties to terrorist cells and Annie is a US Ambassador. What I find ironic about the description and character of the four is that despite the history of the three dirty CIA agents, you portray Annie to be the least favorable: manipulative, conniving, disrespectful, double dealing, solicitous, and grasping. Is this showing the view of the US representatives and involvement in the Middle East? Interesting question. We all know what the CIA is, so there is no point in beating that horse, but since you asked (he said with a smirk). The Taliban was a creation of the CIA masterminds sitting in Langley, a position they quickly abrogated once the Soviets withdrew from Afghanistan. They knew Mullah Omar and bin Laden very well; as a matter of fact they used to meet with them in guesthouses in Peshawar’s University Town. There are no surprises there. Annie Parker, the US Ambassador to Pakistan, is a different story. Anyone who knows Pakistani politics, or has read the wikileaks files on Pakistan, knows that the US embassy is playing both sides of the aisle here. In an effort to maintain strategic depth in this region, every US Ambassador to Pakistan has courted Pakistani politicians and political players that have, in the long run, turned out to be disastrous for us and only beneficial to the US in the short-term. This includes every religious fundamentalist party that exists in the country today. There isn’t a government formed, Prime Minister elected or Army Chief appointed in Pakistan without the US’s approval or behind-the-scenes manipulation. That’s not personal opinion, that’s fact. There is a great deal of anger among the people of Pakistan that the governments, military or civilian, take a great deal of direction from the United States. Many believe that the US is behind most of the problems in Pakistan. I personally believe our problems are Pakistani, meaning that our own Pakistanis are the ones causing them. Sure, the US plays its games, but if our own politicians weren’t so greedy, they would not be corrupted. Is this a condemnation of a female of power in the political field at that time? Or is this born of a your own feelings regarding America and it’s international diplomacy? I have no particular issue with women in positions of power. I remember reading that when Benazir Bhutto was first elected as Prime Minister, there was an uproar among the religious parties that a woman can’t be the Prime Minister of a Muslim country. They did their best to sabotage her and bring her government down, with the Army’s help. There is a nasty stench of machismo among Pakistanis that is disgusting to me personally. We have seen both, male and female, in the Prime Minister’s office. Both have done the same thing for the people of Pakistan – nothing. The topic of torture is probably a very touchy subject but you unwaveringly address it in all it’s shocking ugliness. The scenes described sound a great deal like those reported by media about American Armed Forces against Al-Qaeda and Taliban detainees. What was it like to imagine and write about such raw and violent situations as torture? When you were creating the scenes was it a superficial sense of knowing what you were writing or were you thinking empathetically and deeply about what the reader would be imagining? I have a vivid imagination. While I would like to say that writing the torture scenes troubled me, I have to be honest and admit that one or two that were much more gruesome were edited out of the book because it made Kamal look sadistic to the beta reader group. Personally, I think that torture is the weakest method for getting actionable information, but that is not true of the intelligence services or the militaries of the world. Some countries, Pakistan being one of them, are renowned for their torture methods. I think that if I had been an interrogator… no, let’s not follow that train of thought. I do think there was a method to my torture scenes though. If you look at the structure of the torture in the first half of the book, you see it being very raw, violent and grotesque. This was Kamal in his rawest form. He was a soldier, a commando, someone trained to kill, getting intelligence from the target was just another mission objective to him. It’s after Kamal graduates from The Jungle that you see his thought processes and methods mature. He is now a trained operative, the raw disconnect is gone, or should I say, hidden from the man we see. That rawness still emerges at points in the story, but it is directed towards specific people in specific situations. When he interrogates in the latter half of the book, there is a finesse (for lack of better word) in what he does. He is still extremely intelligent and quick to understand his subjects, but he is no longer just a killing machine in every situation. He takes more calculated, strategic decisions that will benefit his mission objectives, rather than neutralizing his target in one fell swoop. I tried to recommend your book to a friend of mine who is retired Army Intelligence living in Afghanistan but found that your book is not available in the Middle East. How do you feel about the inavailability of your novel in that region? Do you have any suggestion as to how those in blackout area can acquire your book? I did a great deal of thinking on the distribution of the book before I published it. Amazon, of course, is the first choice because of the sheer reach of the platform, but I buttressed it with other platforms. Readers can find Agency Rules on Barnes and Noble, Smashwords, Kobo and iTunes. Now, I know that Amazon, Barnes and Noble and, to a large extent, iTunes are limited in their distribution to the Middle East and Indian subcontinent, but the others are not. Having said that, I buy digital books from Amazon all the time, but I have a US address listed on my account so that I can make those purchases. I think that a reader in this region should be able to purchase the book from Amazon India, where it is also available. You can also change your store on iTunes to the US store, but you need a login for that store, and purchase it there. Other than that, you can get the book directly from me at agencyrules.com. We don’t have an ecommerce setup for the website but I will always work with anyone who wants to buy the book to get them a copy. They just have to reach out via any of our social media platforms. Who do you feel that your book is most suited for recommendation? Honestly, I think Agency Rules is something that everyone should read once. In today’s world, we all need to understand the players at the table and with Pakistan in the news almost daily, this is the one country that needs to be understood the most. One of the things that has surprised me is that many of the reviews that I have gotten are from people that don’t regularly read spy thrillers and they enjoyed it. Outside of that, I tell people if you read John le Carre, Frederick Forsythe or Jack Higgins, Agency Rules won’t disappoint you at all. This is a book that any spy, political or military thriller reader will enjoy. Are you working on the follow up book and do you have an idea as to when you might be publishing it? Agency Rules was actually envisioned as a four-part series. When book one was launched, I had already started to think about the next book in the series. For the last few weeks, I have split my time between marketing book one and research for book two. I think I’ll start storyboarding the book next month and get down to the business of writing during the summer. I am shooting for a December launch for book two, so that it can be gifted to friends and family members that are spy thriller fans. It would make a wonderful Christmas present in paperback! If you were to review your own book what would you have to say about it? Tell me what you feel are the strong part and the weak parts about your novel and in hindsight is there anything that you might have changed. I think the strongest part of the book is the plot itself. The weakest is probably character development, from the point of view of Kamal’s personal side. I had one reviewer say that she wished there was more of a romantic element to the story. I think I do struggle a little with very intimate and personal scenes, but I don’t think I would have changed anything in Agency Rules. I have a plan for the next book, I have a plan for Kamal, and I know I’ll do a better job developing his character as I get to know him better. As a self-publishing author how do you feel about book pirating? Do you think that indie authors are more strongly impacted by illegal book downloading than publishing companies? I have given away so many digital copies of my book in the past few months that I almost feel like I have been pirating it already. Let me see if I can give you a diplomatic answer. While I think that book pirating is unfair to every author, I think that many indie authors are benefited by it. There are many people out there that have never heard of us, as writers, and don’t feel comfortable dropping between .99 and $5 for our work. In that case, piracy works well for us because the book gets into people’s hands, they read it and write reviews and recommend it onwards (we hope), which drives people to actually buy the book. Sure, we can all do with the revenue from our book sales and we all want to hit a bestseller list, but does piracy hurt us? Not as much. I do think that the traditional publishers are taking a beating from book piracy, but then they deserve it. Traditional publishers have made it extremely hard to get a book out to market for the new author. I understand the multitudes of arguments about them being gatekeepers for quality product, but are you honestly going to tell me that every book that they publish is bestseller quality? Do you think that a mass market publisher would pick up Agency Rules and publish it? Not a chance. They didn’t take 50 Shades of Grey until it became an internet sensation. Then they all came running to publish it. Now, it’s the book that everyone has to read. Would you be willing to make your books free and request donations if you found that was a better earning model as a self-publisher? In terms of the self-publishing model, yes, I agree that some work has to be done on getting it to a more favorable position for both readers and authors. 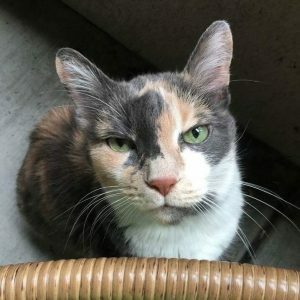 I don’t know about requesting donations for my book after giving it away to someone. That might work with software, but I don’t think it will work for books. While all of us say that we don’t expect to earn millions from our books, I do think that every SPA is looking to earn money from their work. It’s not like we churn them out of a press after work. It does take a great deal of work, thought and wordsmithing to write a novel of quality. What does being an indie author mean to you? It’s a level of freedom for me, as I hope it is for others. I craft my story, tell it the way that I want to tell it. I am not looking at the commercial viability of the book when I am writing. I am telling the reader a story that I can only hope that they enjoy and tell others about. Being an Indie author does come with its challenges though. You have to be everything from marketing to publisher for your book to be successful. You can’t take your foot off the gas and you have to constantly innovate how you push the book to the market. We don’t have the budgets to do what the traditional publishers do to promote, so we have to be smarter, more creative on how we get readers to notice us and then buy the book. What would you wish to change about it? There are a few things that I would like to change about the indie author world. The first is removing the stigma that some readers and bloggers have against us. Yes, we didn’t go through the traditional publisher, but that doesn’t mean that the book is not a quality product. And to be honest, aren’t bloggers independent authors themselves? If they want respect for what they write, they need to understand that we aren’t different than they are. They earn money through advertising on their blogs, we earn from selling our books, but we are all part of the same fraternity. For readers, I try to remind them that some of the books that they love were self-published first. Again, 50 Shades of Grey, a book I absolutely hated, was self-published and became an internet sensation before a traditional publisher picked it up – best seller. Stop judging books based on where it was published and start reading them. Or do you actually walk into a book store and ask “Where are the HarperCollins, Penguin or Simon and Schuster releases?” You buy books based on the quality of the author or heard that the book is worth reading. Use that same yardstick for indie authors. Will you get some terrible books? Of course, but you get the same thing with books that come from the traditional publishers. Of course! I write books to have them read, enjoyed and discussed. Anything that can help me write them better, get them out there further or increase the number of people that read them, I am always gung-ho to get involved with. I write for four author-oriented websites on marketing books currently, and own a marketing company in my professional life. I know the value of networks, marketing and word of mouth. For an indie author, we need people around us that aren’t afraid to tell what we need to improve, help us get more exposure and drive our reader base up. Professionally, I have worked twenty years to establish my credibility in the marketing industry. I need to do the same in the publishing industry so that readers recognize my name and books. On a more personal note, I want to thank you for the time and commitment that you make to the Indie Author community. There are a number of people that do interviews of authors, but they are box questions that go to everyone. I think that your interview was one of the most challenging and enjoyable ones that I have done since the book launch. We need more people like you, who take the time to read the book before the interview and ask deep, thoughtful questions about what we have written. How many times will a reader be willing to read the standard cookie cutter interview before they turn off? So thank you, Ali! It was a pleasure for me to speak with you. 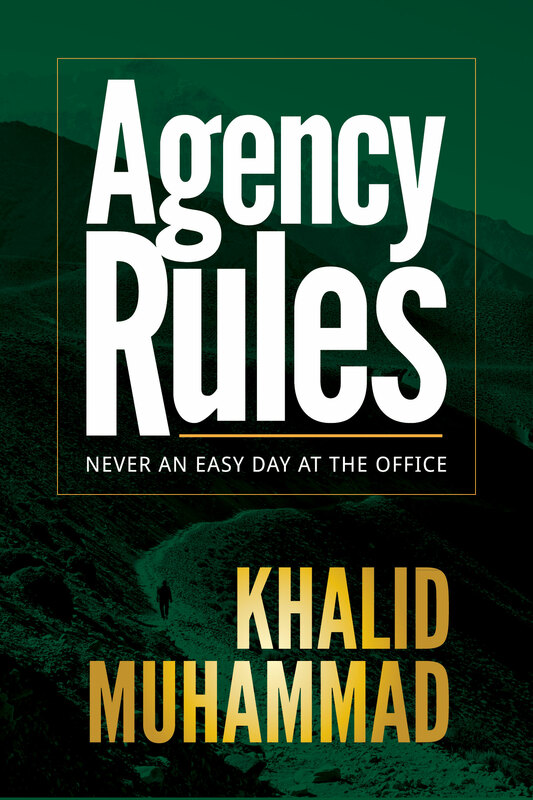 I hope that your readers will take the time to check out Agency Rules. It definitely doesn’t disappoint!